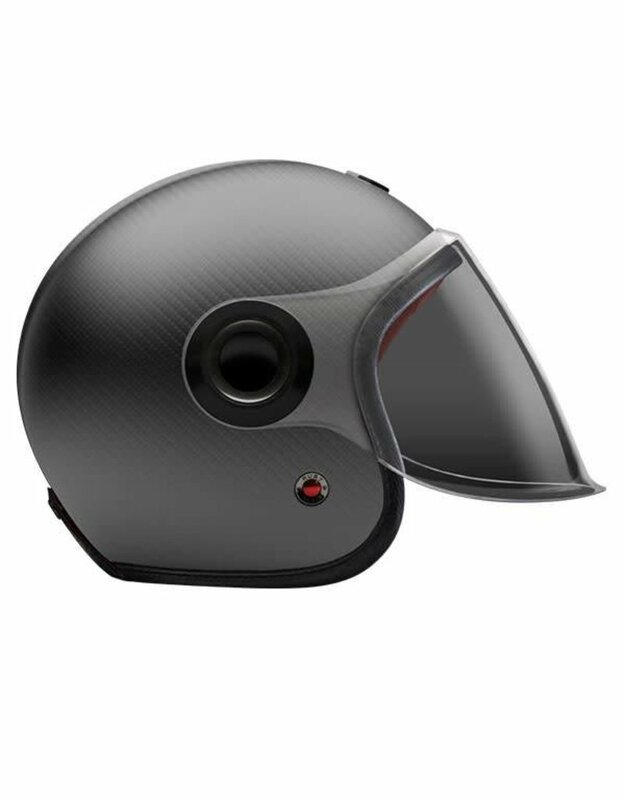 The Belvedere Jet Helmet is based on the chassis of the Open Face Helmet and equipped with an articulated screen/visor that can cover the complete face. It lets you ride with comfort in any weather condition. 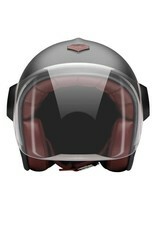 While the Open Face Helmet claims more to be a retro helmet, the Belvedere Jet Helmet is rather retro-futuristic, reminding of robots and fiction heroes of the 1960s. 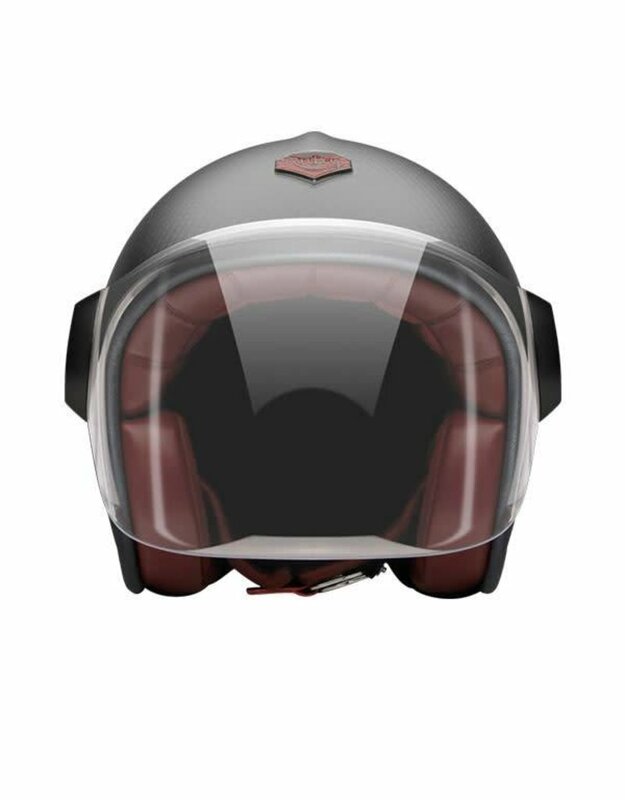 Every Jet Helmet comes with three visors, a clear, light smoke and dark smoke, which are exchangeable within seconds, thanks to the quick release fastening pivots on the sides of the helmet. 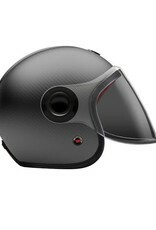 Of course, the Jet Helmet meets the same safety and quality demands as the Open Face Helmet.